Joan had been looking for help in caring for her family's forest when she saw a Facebook ad for WoodsCamp. Less than a year later she's had a successful timber harvest and has been recognized for her stewardship through the American Tree Farm System. When Joan connected to the WoodsCamp website, she located her property on the map, and requested her FREE report. Joan was matched with an opportunity for a Shortleaf Pine Restoration Project, received a FREE visit with a forest professional, and now knows how to take advantage of cost-sharing programs to re-plant Shortleaf Pine. 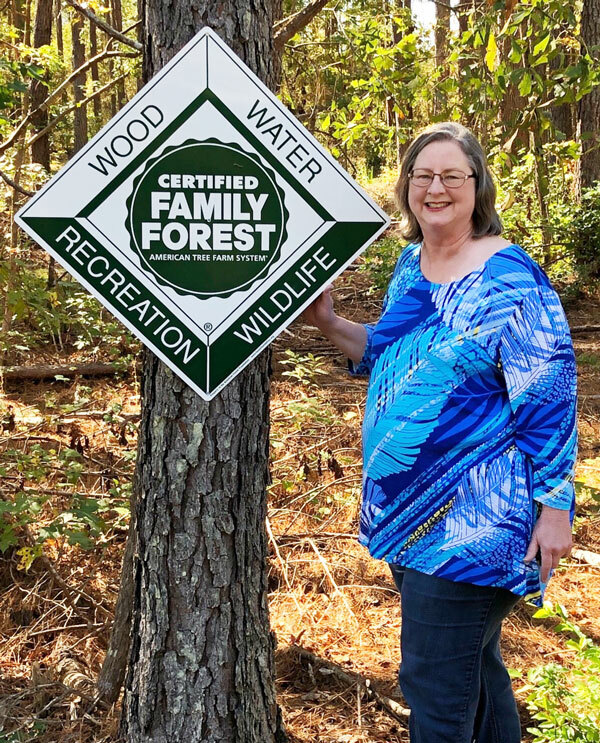 Joan Weaver is the fifth generation of her family to own her forest land. Many of her family members, including her son, have hunted there throughout the years. Joan herself is an avid gardener and likes to cook using the fresh produce she grows there. As a child, Joan Weaver remembers going for horse and carriage rides with her grandfather and cousins through her grandfather’s land. These rides went over dirt roads to get to the farm and homestead where her grandfather raised his family, including her mother. Joan is looking forward to building a house on her land in the coming years, on a bluff overlooking her forest, and creating new memories with her family there. Joan had been looking for options to help her be a better steward of her land. 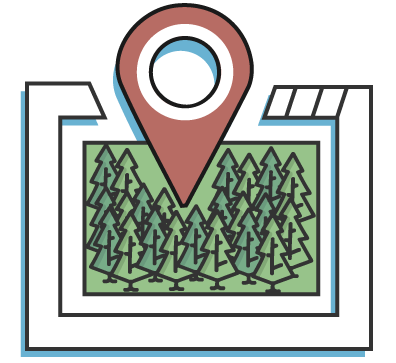 Through a simple facebook ad for the American Forest Foundation's WoodsCamp tool, Joan was able to locate her property on the map and learn about the options best suited to her needs. After answering a few questions, Joan received a free WoodsCamp report that identified a unique opportunity for her to restore Shortleaf pine on her land. She was set up with a visit from a local forest professional who walked her land and discussed the options that were available to her. The landscape of Joan’s land is diverse. There are some lower lying parts of the land with streams as well as areas with higher elevations. With these diverse conditions, the forest professional helped her figure out a plan where the trees of varied ages could be harvested sustainably over time. She was even able to get her first harvest done this year! The forest professional connected her with a local workshop which talked about cost-sharing programs she could use to replant shortleaf pine after a harvest on her land. Joan has since applied for cost share to replant in the areas that have been harvested. As trees in different parts of her land begin to reach an age where they can be harvested, she will continue to harvest and replant local tree species. Want to learn more about your FREE Property Report? Visit the site, select your state, find your property on the map and explore your options.